China cared very little for the goods of Europe and saw itself as self-sufficient – the only two goods China coveted were the opium that the English got them addicted to and silver from South America, which was dwindling in supply. Trade between Europe and China was very restricted originally – Europeans were only permitted to land in certain ports, they could not live in the same area as the Chinese citizens of the dynasty and all their business had to be conducted with specific traders, known as the Cohong. The Chinese Emperor saw this arrangement as very benevolent on his part; granting the Europeans a share of his great wealth and bounty for only luxuries in return, however the Europeans saw it as a restriction of Free Trade and this was a cause of the Opium Wars. After the Opium Wars, Chinese trade was heavily dominated by the English. China and Europe generally traded the silks, chinaware and tea from China for manufactured goods from Europe. Chinese trade with England was not conducted with England proper, but with the East India Company, who are best known for controlling India but also conducted almost all trade with China. The influx of new plants from the Americas, such as potatoes, corn and new species of rice, greatly expanded the typical Chinese diet and allowed for much more diversity in Chinese agriculture. Additionally, with Europe came the need for steel and China was a great source of steel production for Europe. China generally did not need the goods of Europe, as they mostly consisted of heavy wools (for colder weather) and weapons. 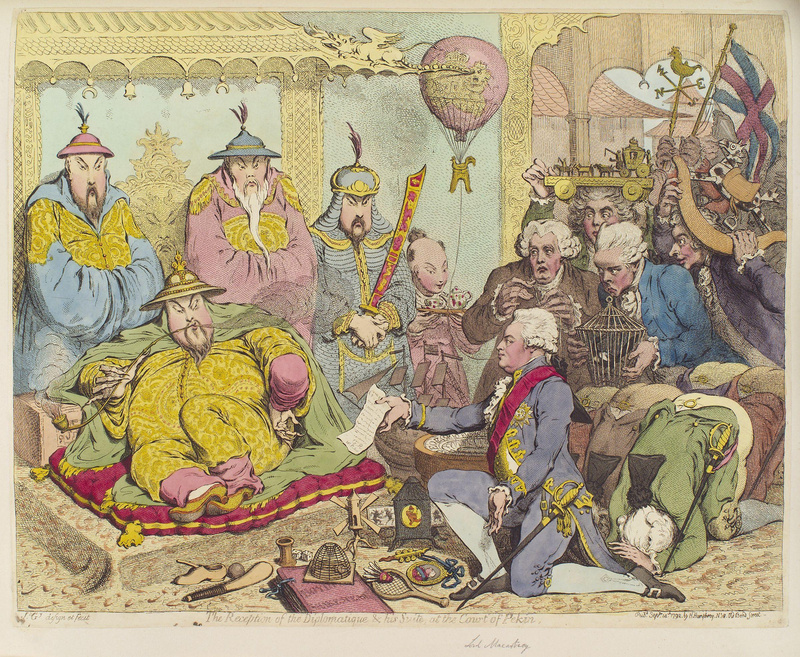 “The Reception”, a caricature of the reception that Lord Macartney received from the Qianlong Emperor by James Gillray. Europe originally had little influence on the political decisions of China – European missionaries were accepted into Chinese court and served as advisors in the Qing Dynasty government, but China was proud of being self-governing and did not listen to any requests from European governments. Furthermore, it heavily restricted other countries from creating embassies, not wanting them to influence its people in any way. An embassy called the Macartney Embassy, a trial embassy, was attempted, but the Chinese Emperor turned down all requests and sent the Embassy away. Likewise, China did not have much influence on the European governments, though tales from China definitely influenced European governing style.. With the Opium Wars, however, this relationship changed. As a clause in the Treaties of Tianjin, England demanded that all of China’s laws be written in English and imposed several regulations regarding trade on the Chinese government. 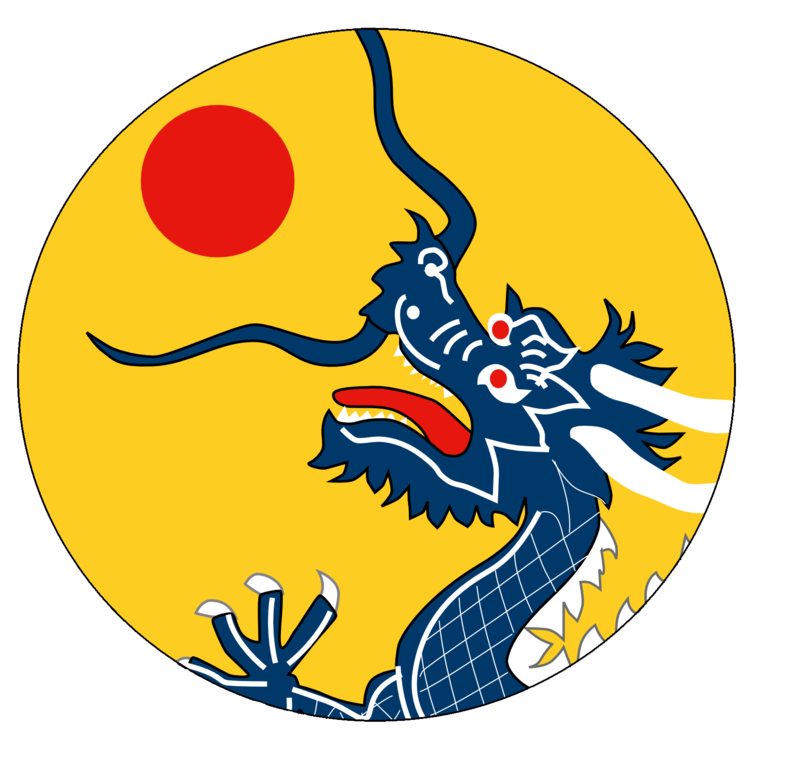 From this point onwards, Chinese government was influenced very heavily by European powers.